ibattz creates products through innovative design to enhance the technological lifestyle that is essential to our lives. Your Refuel battery case is always ready with the ibattz Refuel Belt Clip Holster. It uses top grade leather exterior which is super durable, lightweight and feels good to touch. Fits all Refuel, Refuel Armor/S , Refuel Aqua/S and Refuel Invictus battery cases. 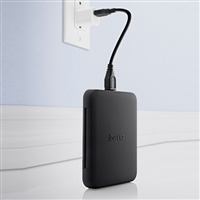 This Stand Alone Charger allows you to charge your second Refuel I9005 battery module independently. the surface is polished by hand And both sides are polished by diamond tools Sand blasting and anodizing make the color pure and natural Independent volume and power buttons to shine the original beauty of iPhone 6 Plus. Battstation Tough Dual Pro 7800 is our solution for today's ever hungry power to mobile phones and gadgets. It is designed to enable you to stay connected anywhere, wherever you are. Mojo Refuel Armor S Battery Case is our ruggedize power solution for your iPhone 5/5S/SE. iBattz Mojo Refuel Invictus Battery Case for iPhone 6, the world's first removable power solution for your iPhone 6. The Mojo Refuel Alpha waterproof battery case, which supports the iPhone 5/5S/SE touch-ID and utilizes a patented zip seal lock technology, keeps the phone completely dry under water to a depth of 10 feet.